I first wrote of the dumpster in a bag a couple weeks ago when it produced a cool vintage intelligence test. I’ve returned a couple times since then and found some other neat stuff. 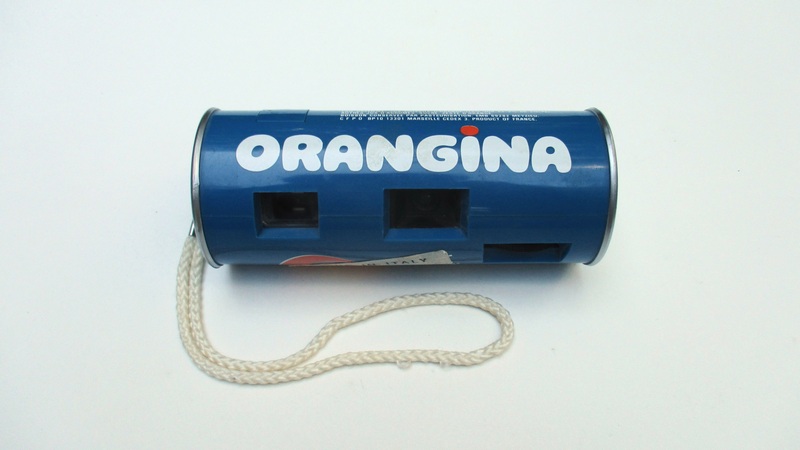 This Orangina “can camera” was one of a few different Orangina promotional items I found here. Can cameras were used a lot in late 1970s – early 1980s advertising and were apparently very awkward to actually take photos with. It might have a bit of value to a collector. Some Walkmans are worth pretty good money, believe it or not. 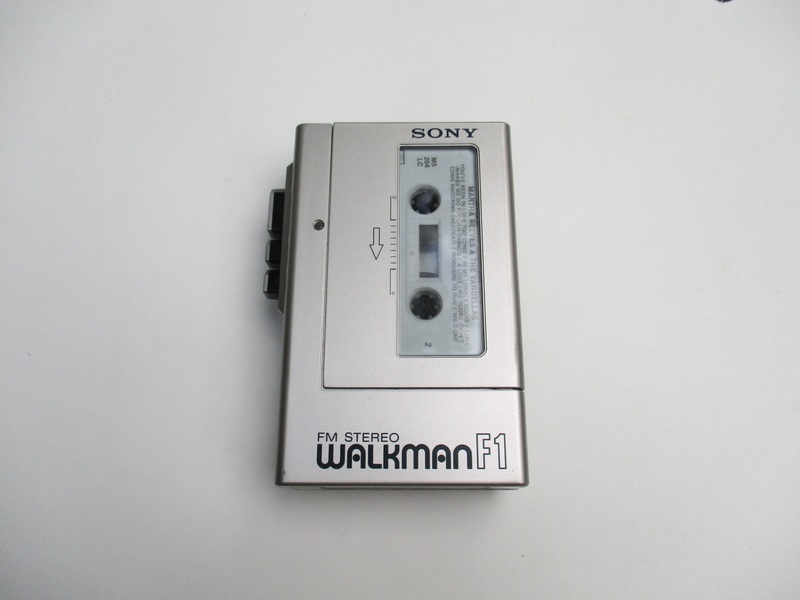 For example, the Sony F1 Walkman I found here has sold for over 100$ on eBay. However, it’s not as valuable as some of the ridiculously nice (or just very collectible) models that have gone for over 1000$ . I hope I can find one of those! Inside the F1 is a cassette featuring Martha Reeves and the Vandellas. 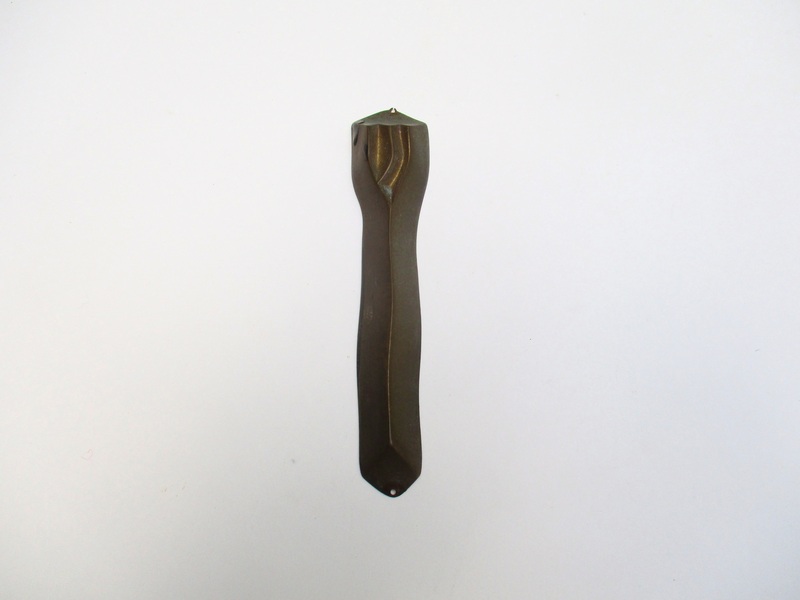 This is a mezuzah case. The mezuzah is a prayer that is affixed to the doorframe in Jewish homes. I’ve seen a few of these before but this is my favourite of the bunch design wise. I may have photographed it upside down – if I did my apologies! 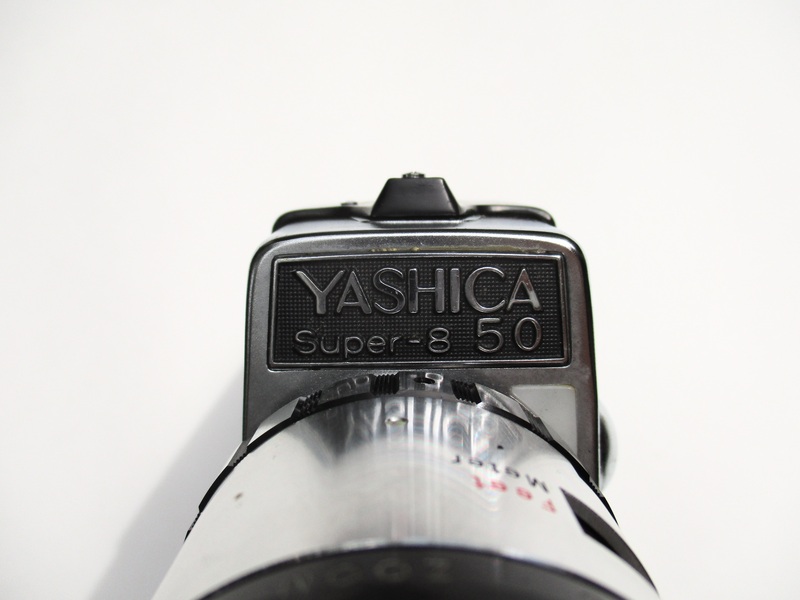 I also found a Yashica 50 Super8 camera. It’s not worth much but it makes for cool yard sale material. 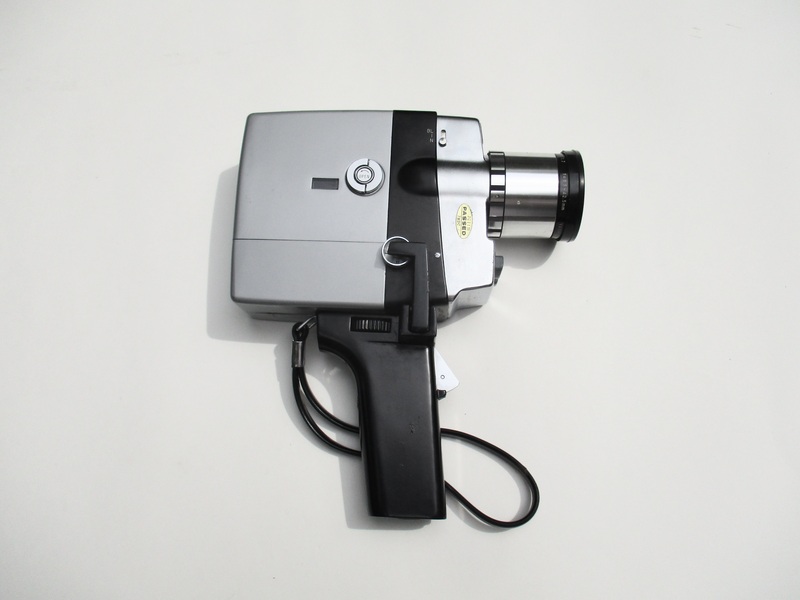 My favourite find though was a small collection of slides, camera film, and Super 8 film. Some of it might be interesting from an archival perspective. For instance, one film was processed in 1968 and titled “CDNs hockey parade,” referring almost certainly to the parade celebrating the Montreal Canadiens 1968 Stanley Cup win. I looked on Youtube and couldn’t find any similar videos so it could be especially interesting to get it digitized. There’s also a roll of film labelled “Expo 67.” A lot of people (particularly those in the Expo 67 Facebook group) like looking at these old photos and reminiscing about that great time in Montreal’s past. They definitely enjoyed the large album I found way back when and the master plan I found relatively recently. 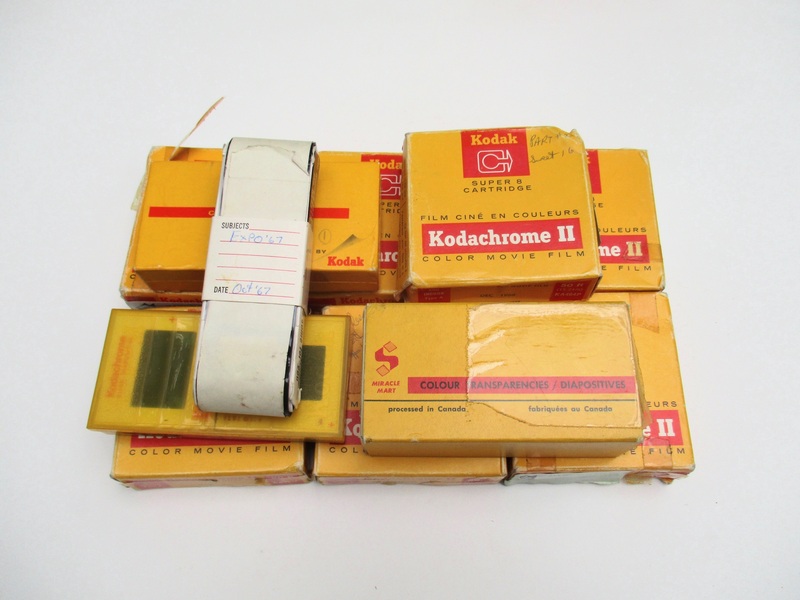 I’m sure they’ll enjoy these too – just by looking at the negatives I can tell they’re nice shots. I’m familiar with a local archive that works to preserve these kinds of things. I’ll try to get this stuff (particularly the ones I singled out) digitized and if they’re cool I’ll share them here! I saw many a mezuzah when I lived in the Côte-des-Neiges neighbourhood back in the day. I hope you post the link to those archives! Crossing my arms and seriously telling you : “Martin, You ROCK!” Thanks for all the info, Your time and the amazing surprises you bring to all of us,…. your followers! You win a 12 pack! Some have more than other but yeah. Cassette tapes are having a bit of a resurgence believe it or not, mostly because they’re cheap to make. My friend just put out an album on cassette (and the internet, of course). You should visit fresh areas of town you never visited before because you have a car and try streets you have never explored before.I live in Verdun and scavenge for historical items and memorabilia quite often in my neighborhood;I also recycle cans and bottles and haul away useful scrap wood for my friend who works in repairs and restoration.But I do not have a car and confine myself to areas that are within 40 minutes of walking distance from home.I have salvaged paintings,typewriters,craft supplies,dolls ,CDS,etc.Use your car to try different streets.I envy you having a car. I do like exploring. The main thing is that I often have my eye on certain houses, and by going somewhere else I might miss out on what they’re throwing out that week. Also, going further costs more in gas money. I also visit more neighbourhoods than I mention. For instance, I was in Montreal West last week but didn’t find anything worth mentioning. I’ve also gone to St Michel, St Leonard, and Lachine with the same results. I keep thinking of going to other places but the idea of driving further to potentially find less often causes me to stay close to home. Still, I do intend on going to new neighbourhoods at some point, including Dorval and Montreal-Est, as well as exploring further the neighbourhoods I mentioned above. Hi,great finds.I am surprised that you did not pick up the Danby portable air conditioner that you saw and mentioned a few posts ago.You should pick up useful stuff that you find like snow shovels,gardening tools,plastic milk crates,renovation tools,etc in good condition that people throw out.They can always be reused or sold. I should have taken it. I’m just numb to trash sometimes due to seeing so much of it. There’s money to be made everywhere, but only so much time to make it in. I have to let some things go in order to stay sane enough to make money off the rest. Honestly, there’s no end to the garbage and I need to say “no” sometimes to keep from getting overwhelmed by it. Sometimes I say “no” to the wrong thing though. Sometimes you don’t see the value at the time. I once found a broken tripod, and left it. Only when it was too late did I remember I wanted to do something and could have made use of the top part. The same pile had a Goretex jacket, which I left. It seemed in good shape but might have been too big for me, and was yellow, which I couldn’t see myself wearing. But later, I realized I should have grabbed it , give it to somebody. But you have a short time to decide, and some value may not come to mind until it’s too late. I’ve left things, then changed my mind, only to find it gone when I go back. You have had luck in Cote St.Luc and Hampstead several times over the last year in finding great stuff in the trash there.When your blog was new,you used to write that trips to Cote St.Luc and Hampstead would not probably be fruitful .See how time has proven you wrong?If you can find great stuff in Hampstead and Cote St.Luc,why do you not find stuff in wealthy Montreal West? That’s true, I’ve been proven wrong before! I’ve been wanting to go back to Cote St Luc – I haven’t been for a couple months. I actually went to Montreal West last week. I found some old Tupperware, but nothing exciting enough to post. I might go back this week though. Montreal West is generally just a bit further, Westmount is closer and has the same pickup day. There’s also Rosemont which is right next door. I am so looking forward to seeing the film footage!